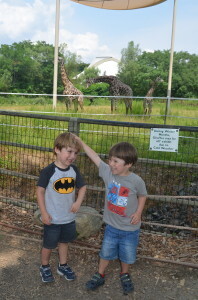 Boston, Mass – Last year, in a post about the Franklin Park Zoo, I wondered: is it really necessary to drive all the way across town to the zoo, just to go to the playground? Now I can answer definitively. Yes, yes it is. I can answer that question with all confidence, now that I am halfway through a summer where Daddio and I are the sole caretakers for our children. No summer camp, no babysitter, just two parents with two books to write and two twins and many hours of endless fun. And yes, sometimes it requires driving across town to the zoo, just to go to the playground. 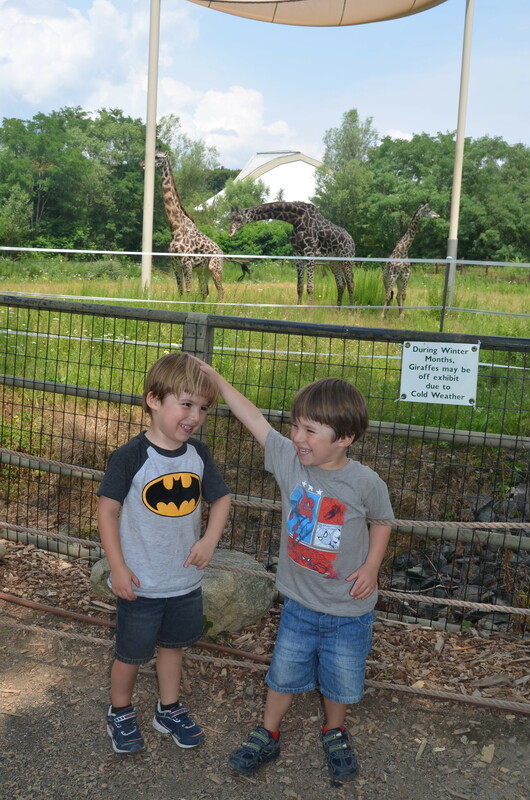 Yesterday we spent some three hours at the zoo, and the only animals we saw were the giraffes. Truth be told, I often get frustrated if the twins do not engage in “what we came to do” — whether it’s at the zoo or a museum or anywhere else. Especially if you paid good money to go someplace, you want your kid to take advantage of it. I get that. But what a relief to be free of those expectations, once in a while. It’s one of the huge advantages of museum memberships… Kids want to leave after a half-hour? Let’s go, before the melt-down. They want to spend the entire morning climbing on statues or jumping in leaf piles, instead of whatever they are “supposed” to do? Great, they must be enjoying themselves. No interest in the animals today? No problem, we’ll check them out next time. Let’s just play at the playground. 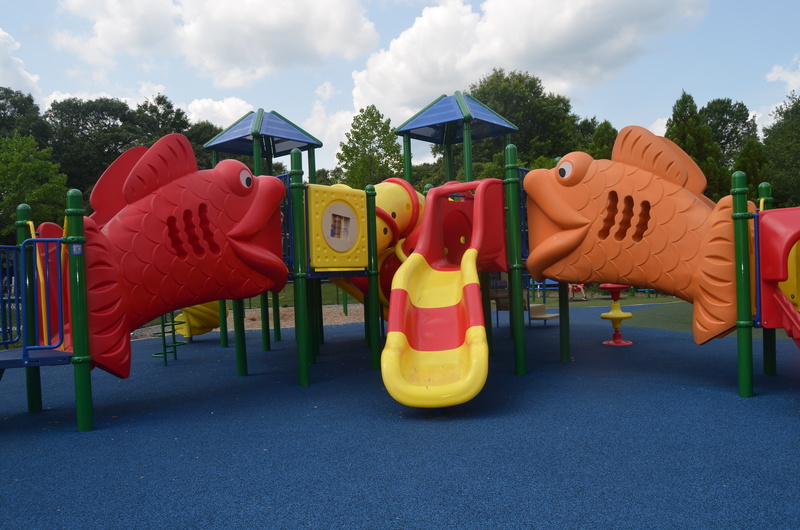 It helps that the Franklin Park Zoo has an awesome, 10,000-square-foot playground, filled with colorful, animal-themed attractions, including four different climbing structures appealing to different ages. It really is–arguably–a destination unto itself. The older the twins get, the more I appreciate it, because every time we go back, the twins discover something new. This time it was the tunnel slides and fish bridges on this playscape. Next time it will be something different.